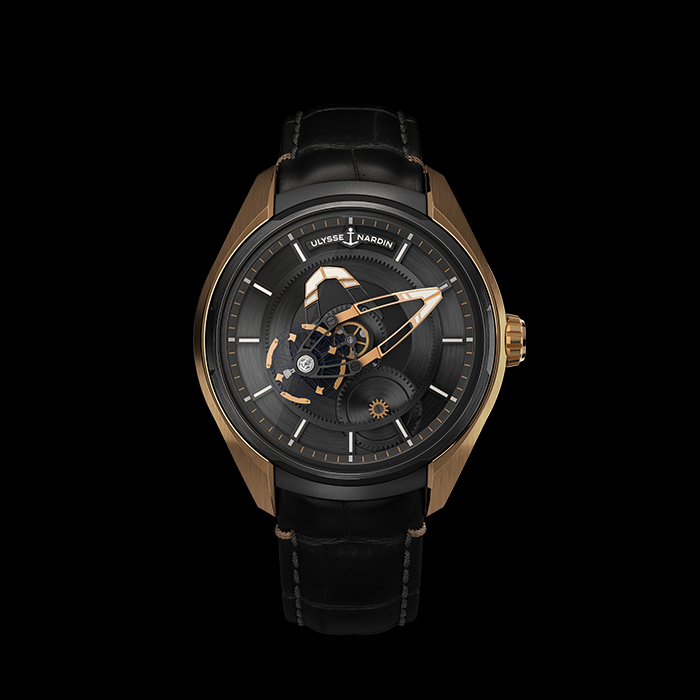 Ulysse Nardin | 30'000 € Tax inc. The Freak by Ulysse Nardin is a movement watch, the only movement watch model in the watchmaking collection, 100% manufacture. Ulysse Nardin has developed models of his Freak calibre that call on rare technical and aesthetic audacity, vision and exploration where movement and the wheels that form his escapement constitute a carousel that sets itself in motion to indicate the time. The Freak collection of Ulysse Nardin therefore only includes models that do not have hands, exploring a field of timepieces that offers an alternative vision of traditional manufacture models. This vision, this exploration of watchmaking manufacture is specific to Ulysse Nardin and his collection of Freak models. To create its Freak carousel escapement, the Ulysse Nardin manufactory uses for these models a material rare in watchmaking, silicon, but also a material that the Ulysse Nardin manufactory is still the only one to value in the models of its Freak Haute Horlogerie collection: carbonium. The carousel escapement is not yet on the movement but is already on the case of the new Freak X model. What is carbonium ? Carbonium is a material from aeronautics. 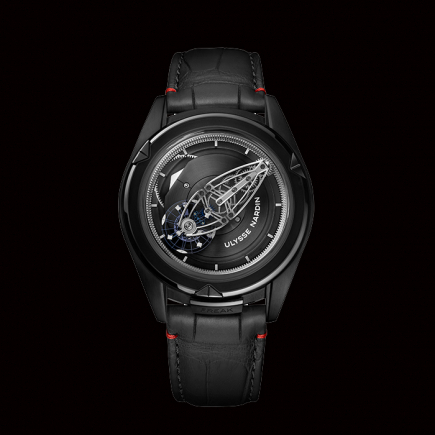 After Ulysse Nardin's collection of Freak Vision luxury watch models, carbonium is a material that is now part of the Freak X watch collection. 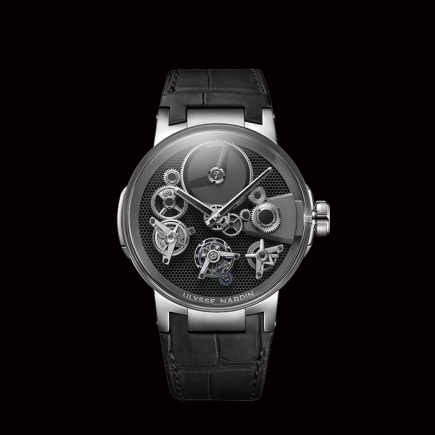 With this choice of carbonium, Ulysse Nardin offers an alternative vision to titanium - titanium, which was now used mainly by the manufacturer in each collection for its strength and lightness. Carbonium offers the same result as titanium and its exploration offers a different aesthetic vision to the Freak X collection of models, with new reflections and a vision more seems than titanium. From the wings of aircraft, the fuselage, and composed of fibers, carbonium offers the audacity that we found with carbon, a material already very present in the vision of the Ulysse Nardin watchmaking, but with the exclusivity in addition for this very specific collection model, the new Freak X. 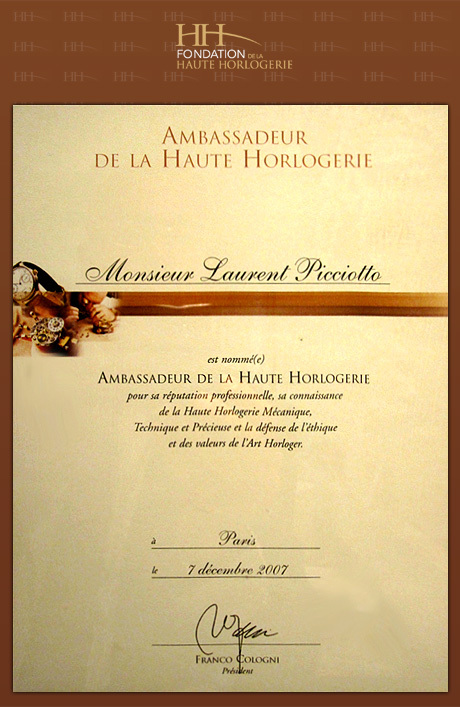 The Freak model from the Ulysse Nardin factory, therefore, remains at the forefront of its vision and its audacity in watchmaking. The models in this collection, rich in this new material, carbonium, have a diameter of 43 mm. 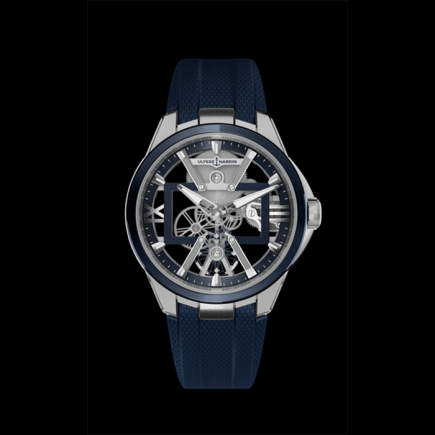 The Freak X by Ulysse Nardin is a collection that always includes, in addition to carbonium, a model of the same diameter with a titanium case - blue titanium or black titanium. Each model has the same movement, a movement with a carousel tourbillon escapement developed by Ulysse Nardin since the first models in the Freak collection more than 15 years ago. 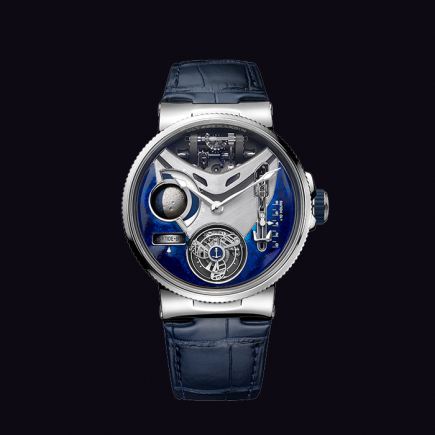 It is these models, with their new watchmaking escapement wheels, that introduced silicon. This vision, this new exploration of watchmaking continued with titanium (no longer on the movement's carousel escapement but on the case) and, today, with the new material carbonium.